Should I Invest in an Area Rug? While we all love the look of hardwood floors, there is nothing quite like the softness of a rug. Plus, area rugs can be used in any room in the house including the bathroom and kitchen areas. If you were considering investing in some quality area rugs, here are some reasons why you should take the leap. Your home should be a comfortable oasis, especially in areas like the living room where you will be entertaining guests. An area rug placed in the middle of the living room between the sofa and under your coffee table adds warmth to the space and make it so much more comfortable. Specific rooms in the home such as the bathroom and the bedroom will especially benefit from a large area rug during the winter months. For spaces where the children play such as the family room or the nursery, you should use an area rug for added support. Of course, an area rug can be used as a design element. Rugs instantly add color, texture, and pattern to any space. In a room with a neutral palette that lacks visual interest, an area rug featuring an intricate design or pattern can be a conversation piece. If you are renting a home or living in an apartment, a quality area rug allows you to freshen your decor without painting your walls. Be sure to select an area rug that compliments the design scheme of the room. Area rugs are extremely versatile. You can move them into different rooms and areas within a space to switch them out when you get tired of the looking at them. If you enjoy changing up your decor frequently, area rugs allow you to do so without making a hefty investment. 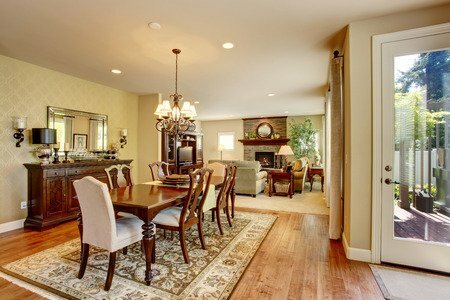 If you have an open concept floor plan, your home will benefit from well-placed area rugs. Area rugs create definition and boundaries. You can use them to separate spaces according to function. Unlike wall to wall carpeting, which can be difficult to keep clean, most area rugs can be easily thrown into the washer every few months. Are you interested in buying an area rug? 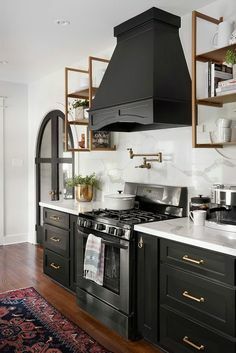 Take some time to browse our online showroom at https://www.century-tile.com/area_rug_catalog#pageIndex=0 and contact us with any questions. Area rugs are powerful interior accents. They can transform a room. Use a rug if you need to add warmth to a space since some spaces can feel rather cold. For example, tile and stone can actually cool a room. Add an area rug to add instant warmth and comfort to any room. Rugs can also help to protect your beautiful floors. But how do you decide what type of rug to buy? Consider the following to narrow your search. Take into account what is on the walls. If you have a patterned wall paper, you will want to select a simple rug. It is probably not the best idea to select a busy patterned rug when there is already a pattern on the wall. In this case choose a solid color, or if you want more depth you can pick a textured weave that is made out of several different colors of yarn. Area rugs can be beautiful works of art. If you want to showcase your rug then try not to cover it up. Select glass top accent tables that will allow a clear view of the beautiful rug. For a more formal rug, find one with decorative edges. For example tassels are normally found on traditional rugs. The size of the rug depends on the size of the space, and what will be sitting on top of it. For a dining room table, there should be at least two inches sticking out from the chairs when they are pulled out. The same goes for upholstery such as sofas and chairs. Acceptable arrangements include the front legs of furniture on the rug, while the back legs rest on the floor (if the furniture backs up to a wall) as well as centering the rug in a seating area without any of the furnishings resting on the rug. When determining the size, consider the shape and proportion of the furnishings on or around where the rug will be placed. If you have questions about the size, shape or color of rug that is right for your home, stop by one of our locations or fill out a form and we will contact you! We look forward to helping you with your decision. There are many ways to play with pattern in area rugs. There will be patterns that work perfectly in your space. After considering the size, shape, existing colors and design of the given room there are still endless patterns for you to choose. 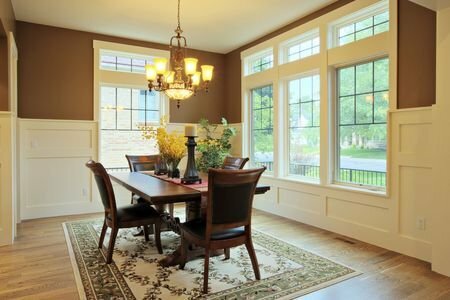 In this post we will talk about three carpets and how they might work for specific types of interior design in your room. This first area rug will look great in a room that has a retro feel or can be used in a more formal room to add a bit of fun to the design. It feels vintage because of its use of shades of brown which harken back to the sixties and seventies interior design aesthetic. The colors in the carpet are neutrals which gives it versatility and will work well with almost any color palette. This second area rug is a little more modern in nature. This would work well in a room with white modern furniture and metal fixtures or accents. It is minimalistic in design with a modern abstract pattern that adds visual interest without having to use a more traditional pattern. It’s use of black and white with a pop of deep red create continuity in the narrative for minimalism. This third area rug is one that demands attention. It has a classic feel, and is able to fit into almost any room’s color scheme. But it’s pattern is powerful and complex. The fanning of the design that surrounds its circular interior creates visual interest, pulling the eye inward. This is a rug that works well in a room with a strong visual center, such as a dining room table or bed. When it comes to area rugs, they can often be overlooked as an accessory for your home. Do you have a room that feels incomplete, lacks warms and that inviting feeling? When you think about area rugs, don’t think floor covering (unless that’s your specific purpose!) think accessory….as in jewelry. When you think about how an area rug can finish off a room much the same way the right necklace can finish an outfit – then you’ll begin to see the value of what area rugs can do. Area rugs are like magic carpets. They can transport and transform, “move” rooms (and their mood) from ordinary to extraordinary, change a room’s personality and character. They can do this through their color, shape, texture and size. Area rugs are incredible design tools. 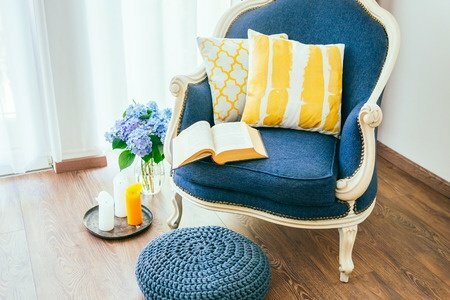 They can define a space, act as a finishing touch, establish a color scheme, underlie a key piece of furniture, soften a hard surface, welcome guests to your home. Area rugs are the masters of change. They’re the only floor covering you can pick up and move, easily replace – change with the changing seasons. 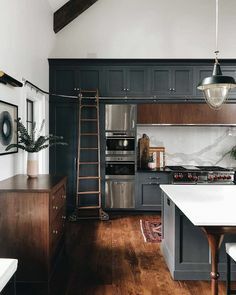 Tired of the way a room looks? Try changing your area rug before changing other things like wall colors. You’ll be amazed at what the change can do. Area rugs cover the cost spectrum. They can be inexpensive and machine made (cotton and synthetic) to very expensive, handmade ancient weaves. Think an area rug might be the perfect solution for your room? Century Tile has a great selection! Floating furniture might sound like we’re talking about pool floats, but we’re talking about moving furniture away from the walls. Why is it we like to line up our furniture around the perimeter of a room and leave the middle empty? Are we hosting Zumba parties in the empty space in the middle of our living rooms? Probably not. 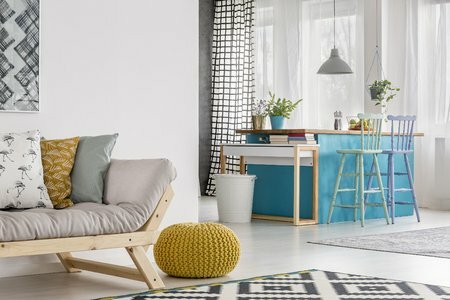 While floating furniture in the middle of the room might not be new to you, there are ways to do it successfully and not so successfully. This living room is a good example of a room that almost gets it right. Elements this living room does successfully include having the furniture focused around the center of the room. Having the two couches face each other, allows for a great conversational area, but the seating area is also focusing in on the fireplace and television. Using an area rug to center and ground the furniture is another good thing. The rug extends beyond the sofa and makes the seating area feel larger. The two sofas and chairs not seen in the image help to create a balanced room. The larger ottoman that can be used as a coffee table seems similar in size to both sofas. Using a smaller centerpiece in this room could be beneficial as far as aesthetics go. 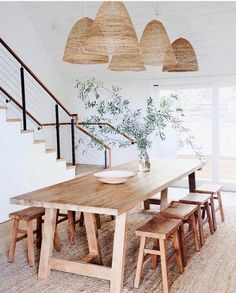 One tricky thing with floating seating arrangements is where to put the lighting. You have to be strategic with lighting sources because you don’t want to have cords running throughout the room. This particular living room has overhead lighting.